It took a while for Bob Dylan to hit his stride on his seventh studio album, but once he did there was no stopping him. 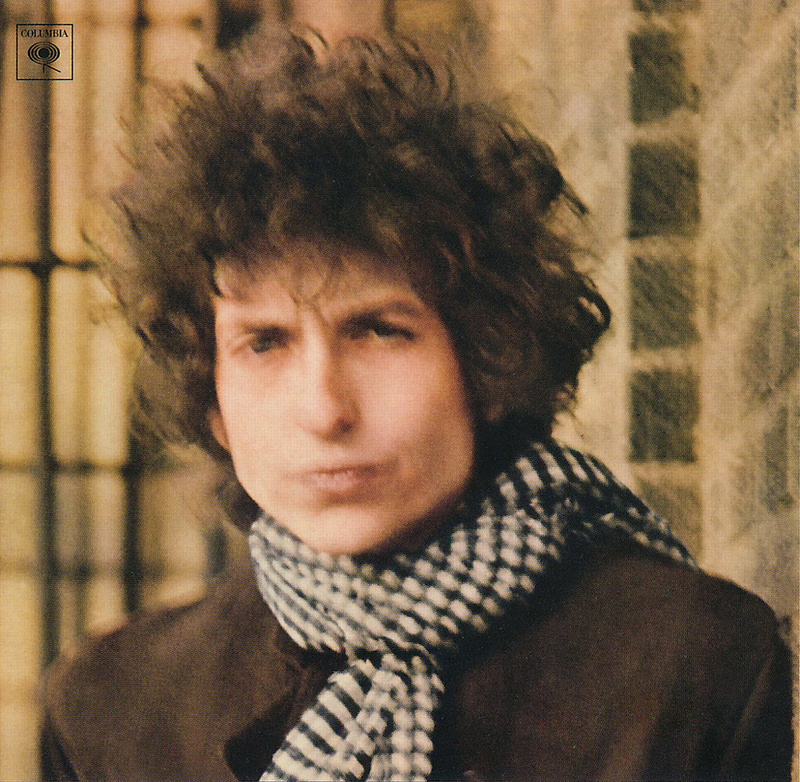 Producer Bob Johnston recalls the difficult birth of Blonde On Blonde. If it isn't broken, don't fix it, right? Well, not necessarily, based on the evidence of Bob Johnston's work with Bob Dylan. Nevertheless, instead of sticking to any sort of tried and trusted formula while Dylan was still finding his feet in the world of electric folk-rock, Johnston initiated a geographical and musical change of direction for his next album by suggesting that the Minnesota native switch the recording locale from the CBS facility in New York City to that in Nashville. Having already worked in Tennessee's country music capital with legendary 'A‑Team' session musicians such as guitarist Grady Martin and pianist Floyd Cramer, recording demos for the movie songs that he and his wife Joy Byers wrote for Elvis Presley, Johnston had recruited harp player Charlie McCoy from there to play guitar on Highway 61. 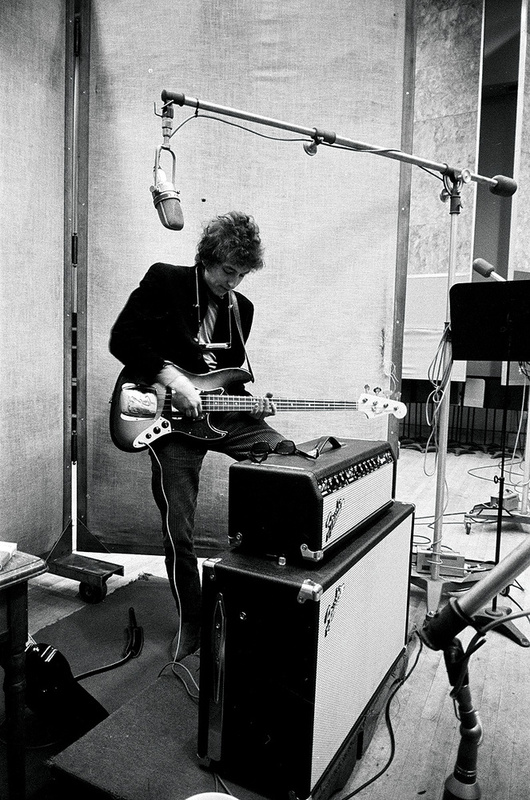 During those sessions, he'd then broached the idea of placing Dylan in an unfamiliar environment for his next record, among musicians whose entire approach was different to anything he had experienced. Seven months later, Bob Johnston took Bob Dylan to Nashville, and it was there, in the Columbia studio facility on Music Row, that they cut most of Blonde On Blonde. Acclaimed by many as Dylan's finest work, this musically eclectic, lyrically surreal double album featured such local greats as guitarists Wayne Moss, Joe South and Jerry Kennedy; drummer Kenny Buttrey; keyboard player Hargus 'Pig' Robbins; bassist Henry Strzelecki; and Charlie McCoy on bass, guitar, harmonica and trumpet. Additionally, there were the likes of New York multi‑instrumentalist Al Kooper, who had played the distinctive Hammond riffs on 'Like A Rolling Stone'; and Canadian guitarist Robbie Robertson, a member of the Hawks (later known as the Band) who had recently been backing Dylan in concert, and who contributed to 'One Of Us Must Know (Sooner Or Later)' when it was recorded in New York, before the switch to Nashville. Johnston produced half a dozen Dylan albums during a five‑year period that also yielded John Wesley Harding (1967), Nashville Skyline (1969, on which 'To Be Alone with You' commences with the artist asking his producer, 'Is it rolling, Bob? '), Self Portrait (1970) and New Morning (1970). But in addition he has a long and varied list of credits that includes seven albums with Johnny Cash, three with Leonard Cohen, and others with the Byrds, Moby Grape, Marty Robbins, Louis Armstrong, Aretha Franklin, Pete Seeger and Willie Nelson. Very much the right man in the right place at the right time, Johnston took over the production reins from Tom Wilson not only for Bob Dylan, but also for Simon & Garfunkel, helming three of their most successful abums — Sounds Of Silence (1966), Parsley, Sage, Rosemary & Thyme (1966) and Bookends (1968) — and again overseeing a folk‑rock transition that Wilson had initiated. Whether or not the timing of his birth was off, Donald William 'Bob' Johnston entered this world in Hillsboro, Texas, on the 14th May 1932, and was steeped in music right from the start. His great uncle was a concert pianist, and both his grandmother, Mamie Jo Adams, and mother Diane Johnston were songwriters. The latter crafted 'Miles & Miles Of Texas' for Gene Autry during the 1950s, while collaborating with her son — following his return from the Navy — on songs for rockabilly artists such as Mac Davis. Bob himself recorded some rockabilly singles under the name Don Johnston, before relocating to New York in 1964. There he secured a staff production job at Kapp Records and then at Columbia, producing Patti Page's hit rendition of 'Hush Hush, Sweet Charlotte'. As sung by Al Martino, this was the title number to the Bette Davis horror flick of the same name. Columbia producer/arranger Bob Mersey was the man who handed Johnston the Patti Page assignment. However, when Bob Dylan parted ways with Tom Wilson — why has never been satisfactorily explained — Mersey poured cold water on Johnston's stated intention to work with the celebrated protest singer/songwriter on his album‑in‑progress. "Why do you want to work with him?” Mersey asked Johnston. "He can't play the guitar, he breaks all the strings...” Since Doris Day's son, Terry Melcher, had recently produced the Byrds' debut album, Mr Tambourine Man, which included four Dylan compositions, Johnston thought Melcher might land the Highway 61 gig. However, he was wrong, and Johnston was handed the production reins by Columbia A&R exec John Hammond, who had signed Dylan to the label and produced his first recordings. It was at Columbia's Studio A, on 52nd Street in New York City, that Dylan began working on the follow‑up to Highway 61 in October and November of 1965. On hand to provide the backing were the Hawks in the form of guitarist Robbie Robertson, bassist/violinist Rick Danko, keyboardist/saxophonist Garth Hudson and drummer Bobby Gregg. Also present were Al Kooper, guitarist Bruce Langhorne and keyboard player Paul Griffin. It was largely the same story in January of '66, when three more sessions inside Studio A — featuring the Hawks (with Bobby Gregg and Sandy Konikoff alternating on drums), as well as Al Kooper, Paul Griffin and bass player William E Lee — only yielded one recording that made it onto Blonde On Blonde: the aforementioned 'One Of Us Must Know (Sooner Or Later)'. 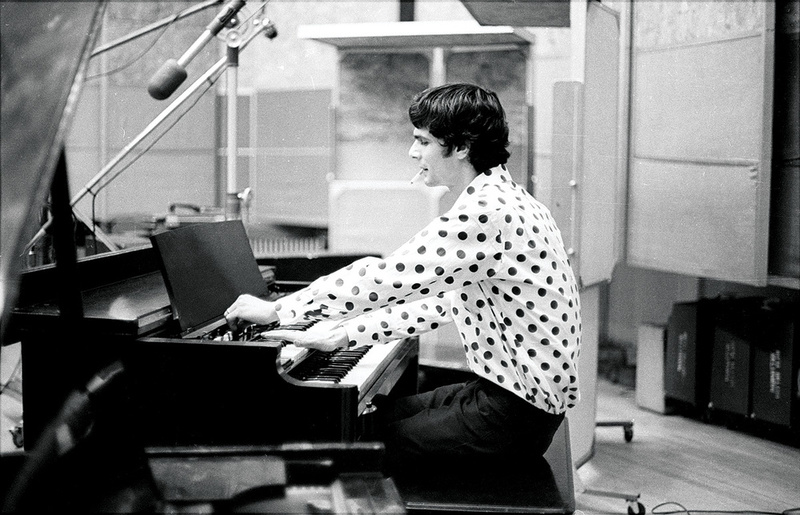 Two versions of 'Leopard‑skin Pill‑box Hat' didn't meet the composer's expectations, and it was at this point, devoid of inspiration and enough new material, that Dylan decided to cancel three further sessions and follow Bob Johnston's advice to switch scenery and personnel by travelling down to Nashville. The 14th February, 1966, was the date of Dylan's first session at Columbia's Studio A in Nashville. The large live area that had recently been converted from seven small booths featured the man himself placed centrally inside a glass booth, while the other musicians milled around him. 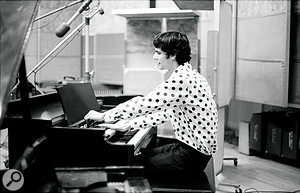 The initial Music Row session proved to be fruitful, with successful recordings of '4th Time Around' and 'Visions Of Johanna'. (Only 'Leopard‑skin Pill‑box Hat' still failed to make the grade.) Then again, while Dylan and his fellow northerners weren't yet familiar with the record‑making modus operandi in 'Music City USA', their Nashville contemporaries also weren't used to Dylan's improvisational approach in the studio or the physical appearance of some of his rock & roll colleagues. Back in the studio, many of the musicians could also walk around unhindered within the vast recording space, courtesy of Bob Johnston ensuring they had long cables attached to their instruments... once he had pointed this out. "Their speakers were all in different rooms,” he says, "and the guitarists had 50‑ or 60‑foot cords so they could walk anywhere they wanted to. They were scattered all over the room, and I had them move around on purpose. At first, I had the guitarists way up to the left and the bass player way in the back, and they looked as if they were thinking, 'Goddamn, why do we have to stand this far apart?' I told Dylan what I was doing, and when they started playing they didn't feel as if they could be heard, so they kept turning up their earphones and I was just laughing. Finally, I told them that's what the long cords were for — to move around the damn room and stand anywhere they wanted! So that's what they did. Meanwhile, whereas the live area was absolutely huge, the Studio A control room was less than ideal. "There was a custom console with EQ that could be switched between 'pop' and 'country', and when I first worked there you looked out a little bitty glass window at the band and had to turn around to hear the speakers,” Johnston recalls. "Eventually, I had them put four speakers up on the wall and change quite a lot else, but they fought me all the way. I had two tape machines, and the first time I worked in there with Dylan, he said, 'Okay, I'm ready to go,' and I said, 'Roll the tape.' Well, the guy at the desk said, 'Roll the tape,' and another engineer at the door said, 'Roll the tape!' Then, down the hall, I could hear this guy say, 'OK, roll it,' and another guy in the distance shout out, 'Now?' The first guy said, 'Now.' The other one asked, 'Which button do I hit?' and he was told 'The big red light.' So he hit the button, and by that time Dylan was already through the first verse. 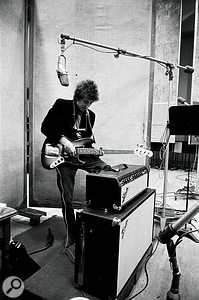 Following his first Nashville session that successfully captured '4th Time Around' and 'Visions Of Johanna', Dylan returned to the studio on the 15th February 1966, and asked to be left alone while he spent about six hours finishing a new composition. Then, after the musicians were woken up just before four in the morning of the 16th, they recorded three takes of 'Sad Eyed Lady Of The Lowlands', the first of which ended up on the album. Indeed, if ever there was an opportunity for them to familiarise themselves and get to grips with the main man's improvisational approach, this was it. 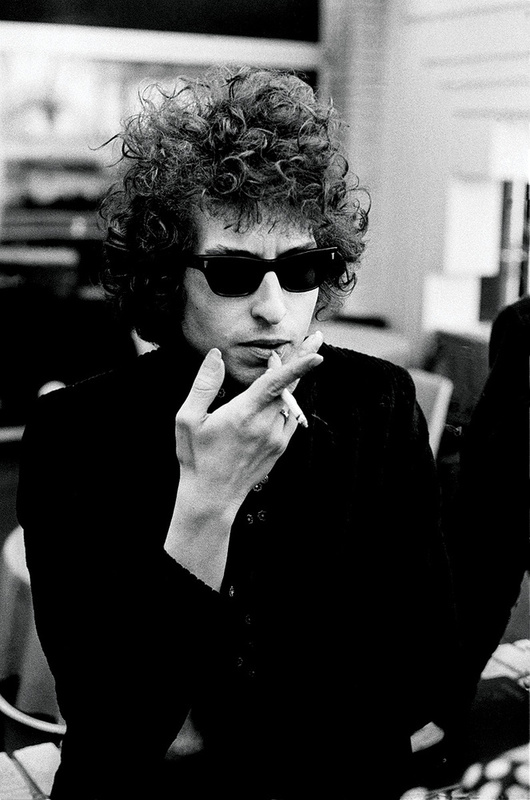 In Clinton Heylin's 2000 biography, Dylan: Behind The Shades, Take Two, drummer Kenny Buttrey recalled: "He ran down a verse and a chorus and he just quit and said, 'We'll do a verse and a chorus, then I'll play my harmonica thing. Then we'll do another verse and chorus and I'll play some more harmonica, and we'll see how it goes from there.' That was his explanation of what was getting ready to happen. Not knowing how long this thing was going to be, we were preparing ourselves dynamically for a basic two‑ to three‑minute record. Because records just didn't go over three minutes. Bob Johnston has a similar recollection: "When we were two minutes into the song, Dylan started to gain momentum and the musicians started to gain momentum. However, at the end of the first verse, they thought they had cut the three‑minute record, but then he started the second verse and they quickly latched on and started in again. This happened on every verse; they kept thinking it was the end of the song. Afterwards, he came into the control room and said, 'Let's hear it back,' and that was the cut we used. It was one of the prettiest things I ever heard in my life. Meanwhile, if the musicians were still reflecting on the 16th February studio session that captured 'Sad Eyed Lady Of The Lowlands' in the first of three takes, they found themselves gelling on similar territory the very next day when recording the equally rambling and surreal seven‑minute opus, 'Stuck Inside Of Mobile With The Memphis Blues Again'. Once again, Bob Johnston was happy to accommodate and realise Dylan's musical vision. This was clearly the case when, after returning to Nashville from some concert dates with the Hawks, Dylan nailed the remaining nine Blonde On Blonde tracks — 'Pledging My Time', 'Just Like A Woman', 'Absolutely Sweet Marie', 'Most Likely You Go Your Way (And I'll Go Mine)', 'Temporary Like Achilles', 'Rainy Day Women #12 & 35', 'I Want You', 'Leopard‑skin Pill‑box Hat' and 'Obviously Five Believers' — in just three sessions, on the 8th, 9th and 10th March. 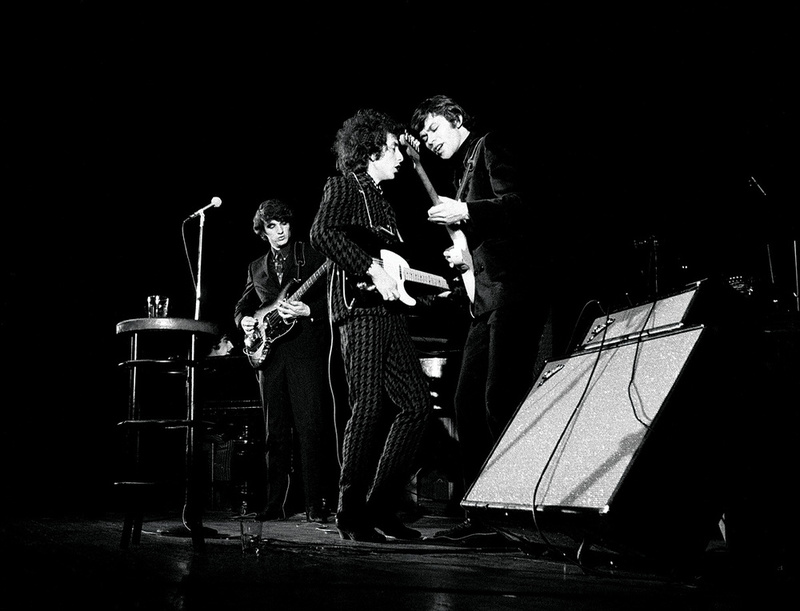 Beforehand, working on these songs in his hotel room, the composer was able to focus on his lyrics while Al Kooper played the piano and learned the tunes, so that the keyboardist could teach them to the band members in the studio before Dylan arrived. An unlikely single, 'Rainy Day Women #12 & 35' actually peaked at number two on the Billboard Hot 100 and at number seven in the UK, while 'I Want You' made the Top 20 on both sides of the Atlantic, 'Just Like a Woman' reached 33 in the US and 'Leopard‑skin Pill‑box Hat' topped out at number 10. 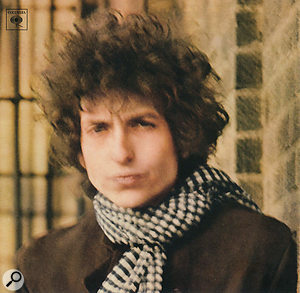 As for Blonde On Blonde, its number nine placing in the US — where it would eventually attain double‑platinum status — was bettered by number three in the UK, and the record garnered universal critical acclaim. Melding a compelling mixture of blues, folk, rock and country with endlessly intriguing wordplay and imagery, the album was hailed by Rolling Stone critic Dave Marsh as one of "the greatest in the history of rock & roll”. Dylan's voice, described by David Bowie as being like "sand and glue”, changed with each album, ranging from the husky intonations of his earliest records and the affected slur of Blonde On Blonde to the country croon of Nashville Skyline. Yet, Bob Johnston asserts that, on the albums he produced, this was due purely to the singer, not the techniques employed to record him.